The programming language Perl has been around for a long time. Originally its creator, Larry Wall, had chosen to name it Pearl as he felt that it was a short and memorable word with positive associations. However, just before the language was due to be released he discovered that there was already an existing programming language named PEARL. At this point he changed the spelling and then released it as Perl. 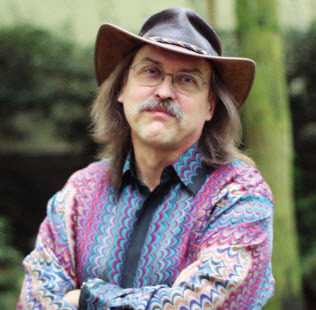 Wall began his work on developing Perl prior to 1987, with the first version finally being released at the end of that year. For the next couple of years of development, the Perl language progressed at a rapid pace and Perl 2 was soon published in 1988, an improvement on the original. The following year Perl 3 was released, and this version held support for binary data streams. Even with all these progressions, for the first years Perl came with only a single page of documentation. However, in 1991, Programming Perl was released and soon became the go-to guide for the Perl language. Due to its cover it soon became known as the Camel Book, and now the icon of a dromedary has become synonymous with Perl, though as a logo it remains unofficial. The book is to this day the best source of Perl information. During this time, Perl 4 was also released. This did not signify a new release in the language, but rather was simply the version that was most covered within the newly published book on Perl. Perl 4 underwent a number of releases throughout 1993, most of which were simple maintenance upgrades. Soon though, Wall ceased any further developments on this software and moved on to creating and developing Perl 5. The beginning stages of Perl 5 went on from mid-1993 into 1994 and, it was during this time that the Perl 5-porters mailing list became established. The point of this module was to create a better coordination system between Perl 5 and other platforms. To this day it is still one of the top areas for development and maintenance of Perl 5. As mentioned previously, Perl 5 was released at the end of 1994. This new release was in fact almost a complete rewrite of the initial interpreter and included a large number of new features within the programming code. These included references, variables and most importantly the modules. These modules offered programmers the option to extend the language further without the need to modify the interpreter. Simply put, this meant that the core was able to stabilize to such an extent that regular Perl programmers would be able to add new features to the language. Since this time, it has been Perl 5 that has remained in constant development. Over the years Perl 5 has seen significant improvements. 1995 and 1996 saw Perl 5 being released with new prototype features, which allowed any programmers of the modules to be able to make subroutines that would behave in much the same way that Perl built-in applications would perform. 1996 saw Perl 5 released alongside a security release. However, one of the most noteworthy aspects of the history of Perl was outside the Perl 5 language system. This was the 1995 release of the Comprehensive Perl Archive Network or CPAN. This was created to be a place to keep all the Perl modules, and indeed for Perl itself. As of May 2017, CPAN contains more than 180,000 modules all contained within 35,000 plus distribution. It has been written by over 13,000 different authors and is mirrored on a global scale in excess of 245 locations. The next release of Perl 5 occurred in 1997 and contained a UNIVERSAL package. This new package provided Perl with the base for which all classes were derived automatically, and offered programmers the ability to use different versions of the modules in the system. At this time there was another important step forward, in the form of the inclusion of the CGI module. This helped to propel Perl’s popularity in terms of a CGI script. Currently Perl is supported by Microsoft Windows and a number of other computer operating systems. The next Perl 5 release, Perl 5.0005 was made public in 1998 and once again contained a number of enhancements, this time to the regex engine, backends for other modules, additional core modules plus support for other operating systems such as BeOS. The year 2000 saw the release of Perl 5.6. This release contained some very significant changes that included such additions as 64-bit support, unicodes, support of files that were over 2Gb and the Perl keyword. During the development of Perl 5.6 there was a decision made to switch the versioning scheme to one that was more closely matched with other open source projects. Later in the year Wall himself put out a notice asking for suggestions in relation to a new Perl version. He specifically aimed this question at the Perl community. The feedback was overwhelming with over 360 comment requests, all of which were used to push the direction of the new Perl program, soon to be known as Perl 6. With Perl 6 underway, 2001 saw Apocalypses coming into development, specifically to link in with Perl 6. These were a sequence of documents that was to summarize all the requests that the Perl community had made, as well as to show off the new Perl design and release this next level of Perl software. Just after this, Perl 5.8 was released, and since that 2002 release, Perl 5 has undergone yearly updates. Even by 2013, the Perl 5.8 version was still one of the most popular; as it came complete with numeric accuracy, thread implementation and a number of new modules. From this point on, the Perl 5 program continued to improve and saw even faster turnarounds with new releases every May. Due to Perl’s constant upgrades and compatibility with other programming languages, it has gone from strength to strength. While maybe not sitting at the top of the programming game, it is utilized throughout the web and maintains a strong online presence.